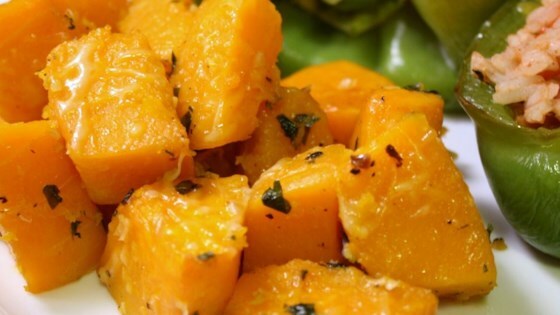 "The mild garlic flavor in this dish makes for a deliciously different treatment for butternut squash. --Anita Bukowski"
Maybe it was the variety of garlic I used, but the amount called for in the recipe was overwhelming. You couldn't taste anything but garlic.